From Sunday to Thursday, you and everyone you’re traveling with have your choice of high-class transportation packages. 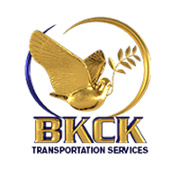 In Jacksonville, FL, BKCK Transportation is the preferred source for executive limousines and vehicles that safely take you anywhere. We’re licensed and registered, locally owned, and have even been cleared by the Department of Defense to provide service to military bases. Our drivers are not only background checked but also cleared by Homeland Security and the FBI. Everyone can rest easy when riding with us. We also provide a variety of packages to make your wedding day the best it can be. Getting married is stressful enough without driving worries. Our wedding transportation services see you and your friends and family off to your receptions, parties, honeymoons, and more. You should be focused on enjoying your time together and making memories, not driving and figuring out directions. Leave it to us instead. It’s what we do, and we excel at it. We’re glad to offer a 10% discount for first-time clients, medical staff, and first responders to help you save money on the service. There’s no better wedding transportation in Jacksonville, FL, than BKCK. Parties of every size can ride in style and complete safety while having the time of their lives. None of your guests has to worry about having a little wine or finding their way around in a city they may not be familiar with. Instead, everyone you invite has full peace of mind. We offer 10% discounts for First Time Clients, Medical Staff, and First Responders. Contact us to learn more about our limos and make reservations. We offer service throughout Jacksonville, Tallahassee, Tampa, Orlando, and Gainesville, Florida, among many other destinations.